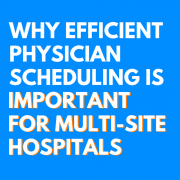 The goal of building the schedule is to ensure your providers’ shifts are as productive and organized as possible, allowing them to focus solely on patient care. However, that doesn’t mean your responsibilities need to be overly complicated. 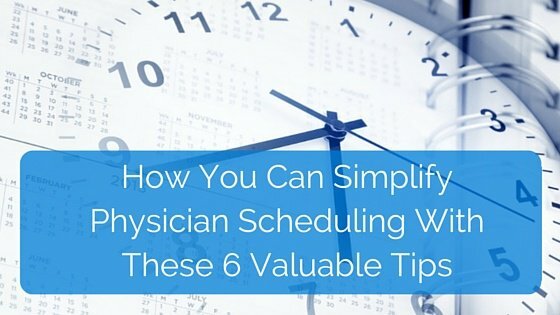 You can simplify your scheduling process, without sacrificing the efficiency of the final product, by using the tips below. 1. 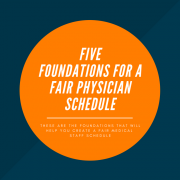 Hire a full-time physician scheduler. 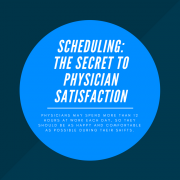 Having a substantial amount of providers to schedule, several different types of shifts to be assigned, and multiple calculations that need to be done to incorporate those things may mean that physician scheduling is a full-time job. If that’s the case for your organization, consider hiring a scheduling coordinator whose sole responsibility is to build and post a quality schedule. 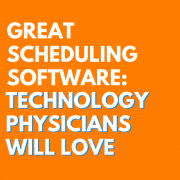 Full-time schedulers are able to devote all of their attention to the task, unlike providers who may be rotating the position on a monthly basis. 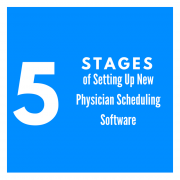 With one scheduler, providers know who their main point of contact is if they have concerns about a schedule, reducing the time it might take to resolve conflicts if there were several contacts involved. 2. Be familiar with your team members’ preferences. Regardless of whether you are a full-time scheduler or not, however, you should know your group’s preferences well, depending on which ones your organization is able to make a priority–necessary days off for family obligations, for example. You can familiarize yourself with these preferences either naturally, as you process recurring requests on a monthly basis, or by scheduling meetings with the providers to discuss those preferences. The former option is more convenient when a scheduling solution is being utilized. You should also keep in mind that, depending on the size of your group, meetings can stretch on for hours if you allow them to. One idea worth trying is to create an online poll where providers decide what the hot-button topics of a meeting should be, in an attempt to keep it organized and relevant. Sometimes organizations elect a group of four or five providers to act as liaisons between the administration and the rest of the group in decision-making, leaving meetings out altogether. 3. Use group preferences to build a schedule that reduces stress. 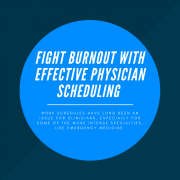 Tailor shift schedules around provider preferences as much as possible, so that they aren’t working too many consecutive days or nights and struggling with stress and burnout as a result. Although establishing this basis initially will take some planning and some team members may not be entirely satisfied with every schedule, the outcome of these efforts will positively affect schedule quality. 4. Know your organization’s patient and staff census. Not only should you know your group well, you should also know your facility inside and out. Specifically, your organization should habitually track your patient census. You should monitor when your departments are busiest, when they’re slowest, which ones are over capacity, and how many providers are necessary for coverage based on those numbers. The statistics can be tracked annually or more regularly, depending on your organization’s preference–this information, of course, can help you to distribute the schedule as equally as possible. To achieve this, you should also be familiar with the number of physician assistants, per diem workers, etc. that are on staff; this knowledge will help when analyzing the varying shift coverage over a particular month. 5. Become an expert in the scheduling method that works best for you. Shift distribution is an extension of all the points mentioned so far. 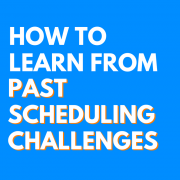 You, as the scheduler, need to be so comfortable with the creation process that you can almost predict the distribution ahead of time, which will make it less time-consuming for you. However, this also depends on the method you’re using to schedule, and the level of difficulty involved in that method. Whether it’s Excel, automated scheduling or a scheduling solution, you’ll need to configure the method to your organization’s monthly requirements. 6. Decide on the best time to post the schedule based on general consensus. 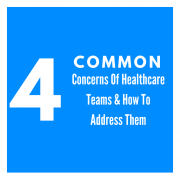 It cannot be stressed enough that providers take their time very seriously, which is one of the many reasons that your job is so pertinent to the organization. Groups rarely agree unanimously on anything, but it is important to come to a general consensus on when the schedule needs to be finalized and available for everyone to access, so that they are, at least, clear about their assigned shifts and time off when they need to be. Do you have any tips to add? Share them with us in the comments!